The inception of the Snapdragon 710 meant manufacturers would not have to source the more expensive Snapdragon 845 or Snapdragon 855 to provide end users with flagship smartphone features. 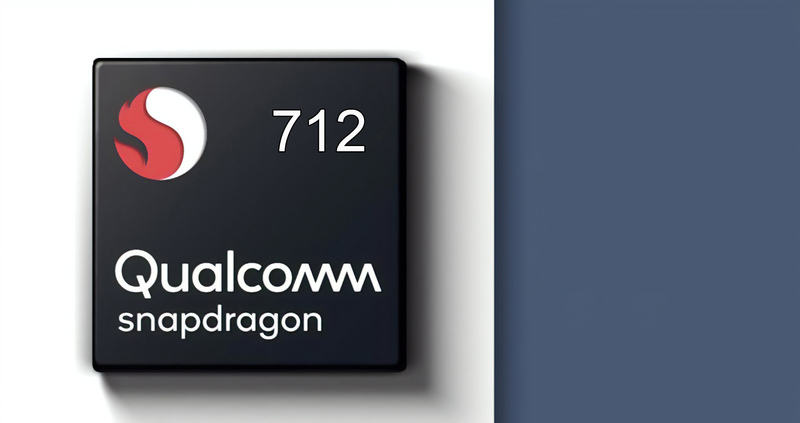 While the Snapdragon 710 is a significant upgrade over the Snapdragon 660, Qualcomm continues to march forward with the unveiling of the Snapdragon 712. Though there are very few differences to separate the Snapdragon 710 and Snapdragon 712, the latter is targeted to OEMs that want to give their devices that little extra punch in the performance segment. Going over the specifics, the Snapdragon 712 is built around the same 10nm FinFET technology as the Snapdragon 710. There are two notable differences that you’ll find with the announcement of the new silicon when comparing it against the Snapdragon 710. Firstly, the performance will improve, but only just slightly. The Snapdragon 710 features an octa-core Kryo 360, with each core running at 2.30GHz. The Snapdragon 710 also runs the same octa-core configuration, but at a lower 2.20GHz clock speed. The other difference is support for Qualcomm’s Quick Charge 4+. The new charging standard will help to increase the battery capacity from 0-50 percent in just 15 minutes, but we reckon that actual results may vary on device design, especially when it comes to the actual battery capacity. A minor difference includes better Bluetooth audio thanks to the TrueWireless Stereo Plus and Broadcast Audio technologies. As for the similarities, the Snapdragon 712 maintains the same Adreno 616 GPU and Hexagon 685 DSP as the Snapdragon 710. The camera support also stays at a 20MP dual sensor or a single 32MP camera with the same Spectra 250 ISP. 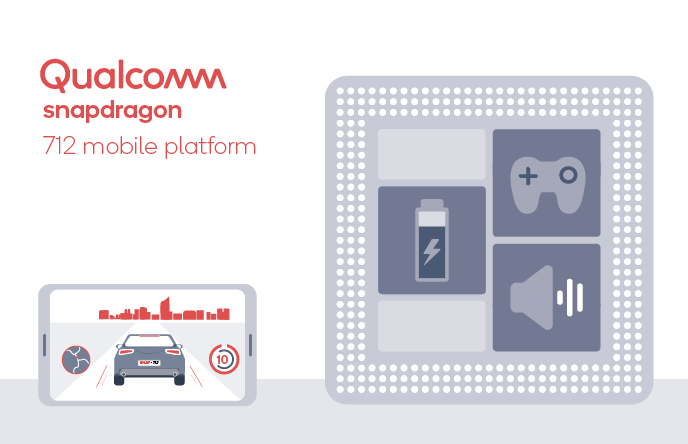 While the Snapdragon 712 will be intended to bridge the performance and features gap between the Snapdragon 845, we’re still waiting for Qualcomm to announce the Snapdragon 730. According to a leak covered a while back, the Snapdragon 730 would be the first SoC from the Snapdragon 700 club to get a dedicated NPU and it’s reported to be made on Samsung’s 8nm architecture. There were also whispers of a Snapdragon 720, but we have yet to see anything materialize right now, but as soon as we get a sniff of more leaks, you guys will be the first to read all about them, so stay tuned for more.